The International Food Security Treaty is the core of a global commitment to fulfill the human right of freedom from hunger and to protect it with enforceable international law. No carpenter would attempt to build a wooden house without a hammer. Yet, in more than half a century since the right to be free from hunger was established in the Universal Declaration of Human Rights, the world has struggled to end hunger without the similarly crucial tool of strong law. The valiant aid and development programs we've relied on instead have proven insufficient to eliminate malnutrition, which still yields an annual death rate far exceeding that of the Nazi genocide machinery during World War II, and afflicts more than eight hundred million others, according to a September, 2017 report from the United Nations Food and Agriculture Organization. And it's not just the malnourished dying slow deaths who suffer - hunger also fuels overpopulation, which in turn inflicts corollary damage on the world's environment, economy, and urban, regional and international stability. Famines and hunger are not inevitable necessities of nature. Widespread expert opinion holds that the planet has adequate food for all its inhabitants, and that famines and hunger are caused primarily by political conflict and detachment. As with other social ills like slavery and exploitation of the environment, the plague of hunger is sure to persist until legal safeguards against it are codified and enforced. That's why hope is rising in many quarters for the prospects of the International Food Security Treaty (IFST). Based on existing international covenants, the IFST aims to establish enforceable international law guaranteeing the right to be free from hunger, and to oblige countries to establish their own related national laws. 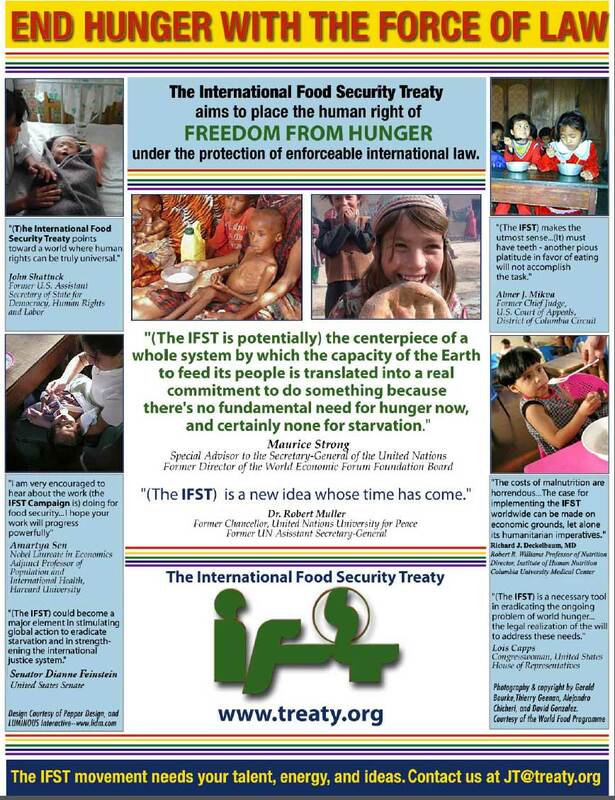 The IFST has been recognized as a crucial missing link in the world's efforts to eliminate hunger by leading figures in the United Nations, anti-hunger organizations, the U.S. Congress and courts system, and national religious groups. Browse this website for a glimpse of a vital new development in human history, through which anyone can help realize the world's potential to become more secure and just. 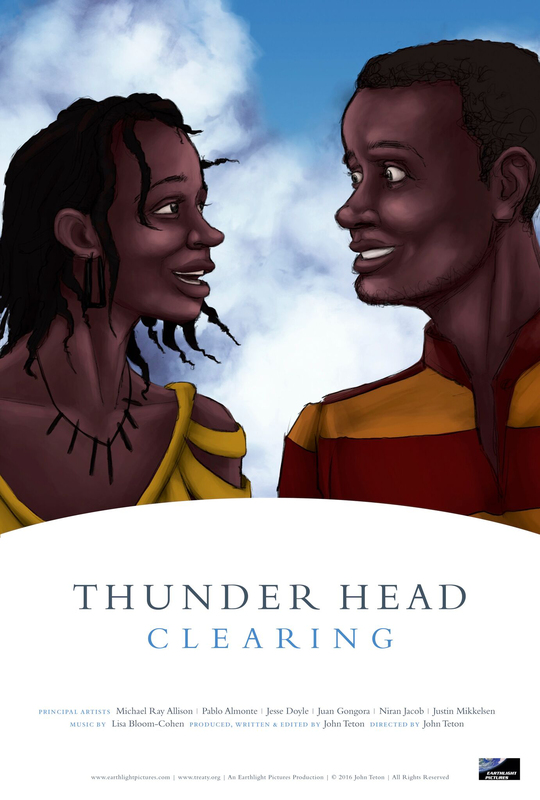 Winner of the Best Direction Award for animation at the 2018 Global India International Film Festival, the seven-minute film Thunder Head Clearing tells the story of a gathering of strangers drawn to a mysterious clearing in the woods, where a towering creation of light and power sweeps them up in an extraordinary series of events triggered by the International Food Security Treaty. The film was planned and produced over seven years by Earthlight Pictures as a contribution to the IFST Campaign with a crew of artists from across the United States and abroad.